For over 30 years, Homewatch CareGivers Northshore – a professional home health care agency serving Winnetka IL – has been providing comprehensive home care services, Alzheimer’s and dementia care, senior and elder care services and other in-home-care services to Winnetka area residents. Our highest priority is your peace of mind and the quality of care you receive. 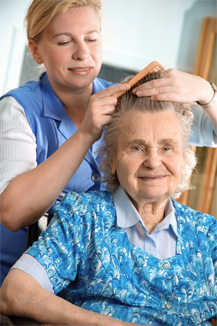 Need the Best Home Health Care Agency in Winnetka for your loved one? The first step to finding the Best Winnetka IL Home Care agency is to determine the level of care that is required for yourself or your loved one. 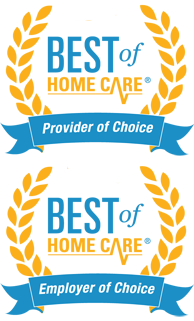 Are we the Best Home Care Agency in Winnetka? That’s for you to decide, however, after reading our client reviews and testimonials, you can take comfort in knowing that many others that have been in your shoes have trusted Homewatch CareGivers Northshore to provide dependable home health care services tailored to meet the needs of their loved ones. Our focus at Homewatch CareGivers is to preserve our clients’ freedom, pride, and well-being. We have been serving the Winnetka community for decades, and our hardworking team of in-home senior caregivers is prepared to ensure the safety and comfort of your loved one in the comfort of their own home. At Homewatch CareGivers Northshore we specialize in providing you with the Best Home Care Professionals in Winnetka Illinois. Our highly competent and professionally trained in-home professionals undergo background checks and screening prior to becoming a member of our team. They are managed, supervised, insured and meet all State of Illinois requirements for certification and licensure. Whether you are in search of care services for you or a loved one, Homewatch CareGivers Northshore will work with you to plan and tailor the best home care service. Our Homewatch services team can also assist you in obtaining durable medical equipment such as walkers, wheelchairs, or Hoyer lifts if needed. Our team of compassionate caregivers and experienced office staff understand that the challenges of caring for a family member or loved one with memory impairment could be very stressful and a neutral caregiver from an outside third party can help reduce the emotional load that comes with caring for a loved one stricken with Alzheimer’s or other form of Dementia. Seniors and aging adults are a precious commodity that require proper care and nurturing. At Homewatch CareGivers you can trust our reliable and well-trained senior caregivers to provide compassionate and experienced care to your aging loved ones. We value the importance of trust and empathy and we know that’s important to you also – that is why each and every person we hire is vigorously screened, trained and supervised to provide the best possible level of service. Our entire caregiving staff is bonded and insured and meet all State of Illinois requirements for certification and licensure. With client satisfaction as our primary concern, we continuously assess our caregiver’s personality and skill level to confirm that they are a good fit with your loved one. We assist Winnetka area seniors with various daily activities such as bathing, dressing, toileting, medication reminders and transportation services as well as more complex in home care for Seniors with Chronic Health Conditions, such as ALS, MS, COPD, Congestive Heart Failure, Diabetes, Cancer and those recovering from Stroke. At Homewatch CareGivers Northshore we specialize in providing you with Best Home Care for Seniors in Chicago and the Northern Suburbs. Homewatch Care Giver’s offers a special “Pathways to Memory” care program for dementia patients and their families.